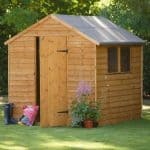 This is an affordable wooden shed which by no means compromises on quality. 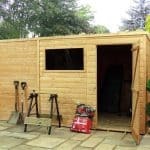 Without doubt one of our most popular buildings, it comes complete with windows for light and air and has a large door which gives the user ample space to transport big pieces of equipment in and out. 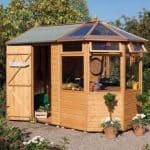 The window has styrene glazing and the apex roof is made from solid sheet material. 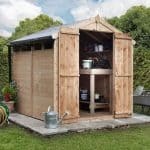 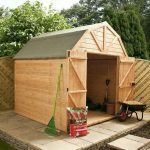 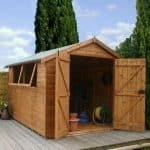 There is plenty of good storage space inside and it is constructed from hard wearing wood, with overlap cladding guaranteed to last for many years. 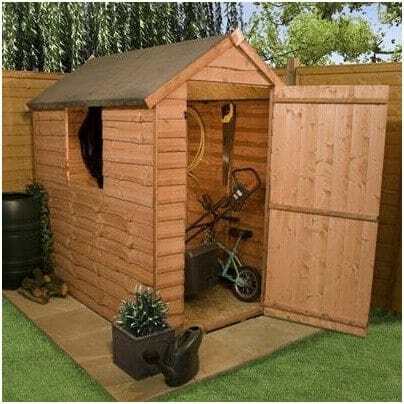 A perfect partner for most garden spaces and superb value.